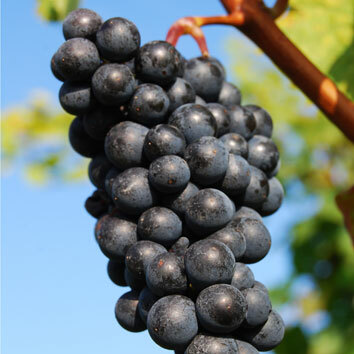 The grapes derive from only the best and selected vineyards in Austria. For an optimal colour and aroma intensity, the wine ferments on the mash (paring and pulp). This gives the ChiliPrinx it’s typical intensive red. The cellarmaster achieves the aroma spectrum through the high skill of blending of different red wine types. These of course takes a lot of time and experience. As a result, the combination of all these steps grants it’s great character to the ChiliPrinx. After some extended adolescence, the red wine is ready for becoming the ChiliPrinx. At the very beginning grain is gristed and mixed with water. Afterwards it will he heated, whereat through enzymes becomes sugar. During fragmenting, the sugar turns into alcohol (it’s like the same as brewing beer). 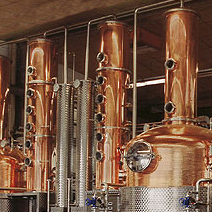 Through continuously repeating distilling and filtering, a high-proof and crystal clear alcohol occurs. 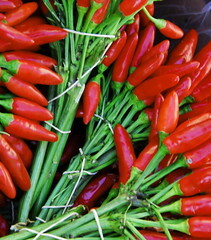 With different kind of chili types from all over the world, a chili disposition is created. 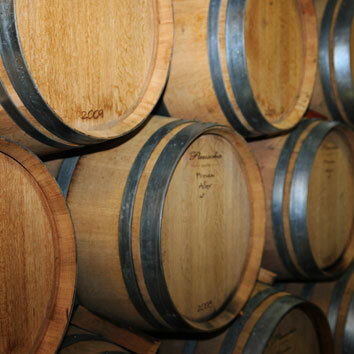 Now it takes some time for aging, so that the full aroma intensity and asperity can develop themselves. After combining the ingredients at a correct rate, the ChiliPrinx ages under constant monitoring and tasting until filling.